Les Stroud for Prime Minister of Canada! 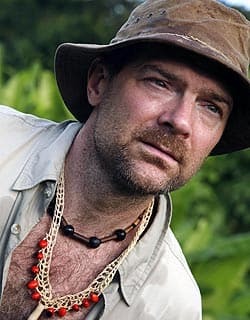 I am a huge fan of Les Stroud, of Survivorman fame. Not only is he Canadian and full of integrity, he can play some mean harmonica while teaching viewers about survival skills in different ecosystems, from different camera shots he patiently positions and films without a video crew. There's the awesome Ray Mears and the *ahem* so-so Bear Grylls as well - plus a few others who have achieved less celebrity status. Like that guy on the Channel 4 series that cried about not wanting to kill a porcupine. But all of these survival heroes are men, and I'd love to have a female survivalist to idolize - I'm not aware of any women who star in their own survival show though. I've done no research, but I bet most survivalist companies in Britain are led and taught by men as well. When I realised this, it set me thinking - I'd LOVE to be 'Survivorwoman'! A female take on wilderness skills would be fascinating. Women and men are different creatures, biologically and sociologically - and the result of watching a lone woman surviving and teaching an audience through the camera would be a new viewing experience. Plus, I want to do it. Now I'm not in any way an expert on wild food, bushcraft, or primitive skills. I also have no presenting skills, and possibly no aptitude for it, though I used to be an English teacher and have no fear of the spotlight, and indeed often can't be stopped speaking. I'm enthusiastic and curious, and determined - I don't mind being made a fool of either! I grew up in the woods, and USED to know the trees and animal species and which berries to eat and not eat from the land, until I moved to bigger and bigger towns and finally changed country, where my knowledge of the natural landscape I live in is liteally now, quite foreign. There's thousands of people in the UK that probably would have a much better CV suited for the star Survivorwoman casting role. I'm small and weak, and probably can't swim (I'm not sure, I have a fear of water and generally try to avoid testing an old skill! Is it like riding a bike? ), and haven't even camped much since childhood. I struggle to light fireplaces. I've tried stone knapping, I put a hole in my jeans and got a blood blister. BUT! That means I'm someone who needs to learn, right? And what better way for viewers to learn then watching another person repeatedly fail to light a fire? Identify plants and trees? 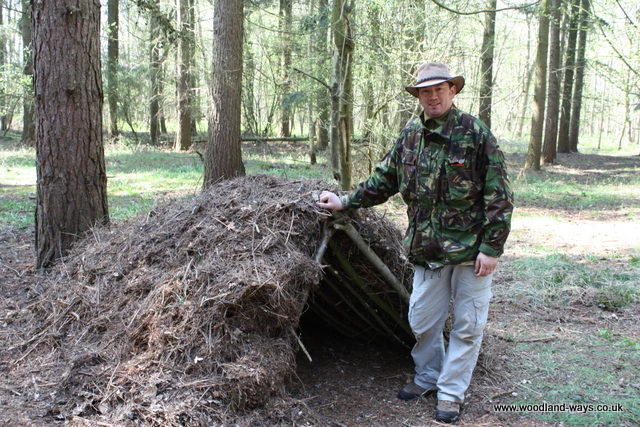 Make a shelter in the woods? So if you know anyone in a production company, please tell them my pitch and give them my name and details. I'd love to go without a shower for seven days and sleep on the cold rocky ground with the bugs. I'm an archaeologist after all.